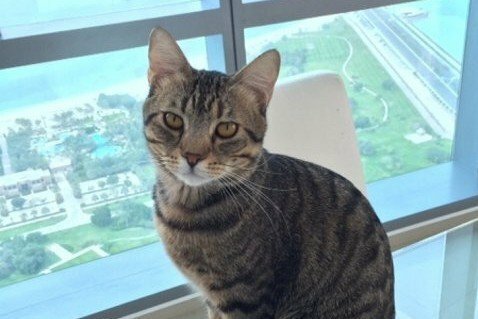 A 2-year-old tabby named Felix remains missing after an airline "lost" him at JFK Airport. A young couple paid Etihad Airlines $1,200 to ship Felix in the belly of their plane on the 14-hour flight from Abu Dhabi to New York last week. His carrier was crushed in transportation, enabling the frightened tabby to escape into the expansive Kennedy airport cargo area after landing. "It's really sad and appalling how these animals are treated - worse than luggage," Felix's mom, yoga teacher Jennifer Stewart, told The National. 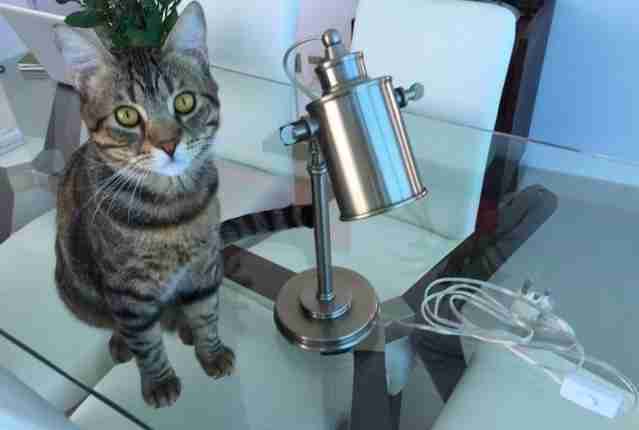 Felix isn't the first feline to go M.I.A. at JFK. 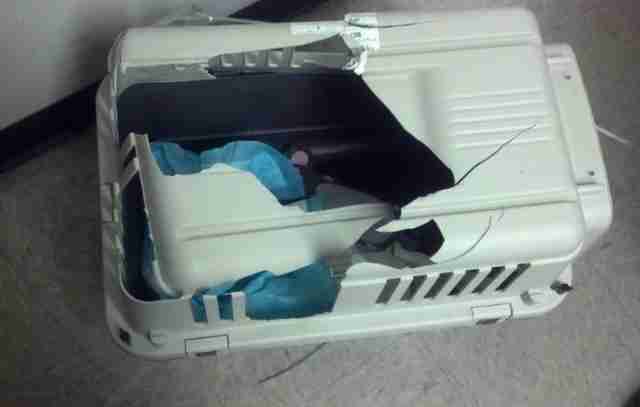 In 2011, a handsome cat named Jack dashed from his damaged kennel when a clerk dropped it. He didn't even make it on board his American Airlines flight to San Francisco. The beloved cat was missing at Kennedy for 61 days before falling through the ceiling in a Customs & Border Control office, weak and wounded. Sadly, Jack had to be euthanized shortly thereafter. The nonprofit "Where Is Jack?" was founded by Jack's mom, Mary Beth Melchior, to make commercial flights safer for pets, in both policy and personal practice. Sadly, animal deaths at the hands of U.S. airlines aren't all that uncommon. Twenty-nine animal deaths - along with 26 injuries and one lost pet - were reported to the U.S. Department of Transportation in 2012 alone. If you don't have to fly with your cuddly companion, don't, advises the Humane Society of the United States on its website. If you gotta jet with your pet, keep them in the cabin with you. "We really, really recommend you avoid flying your pet in cargo," Melchior told The Dodo, as temperatures are fluctuating and often extreme. "Sometimes pets end up on the tarmac for a long time waiting to be loaded," she added. In summer and winter, heat and cold alone can kill animals - "never mind all the dangers of being on a tarmac!" 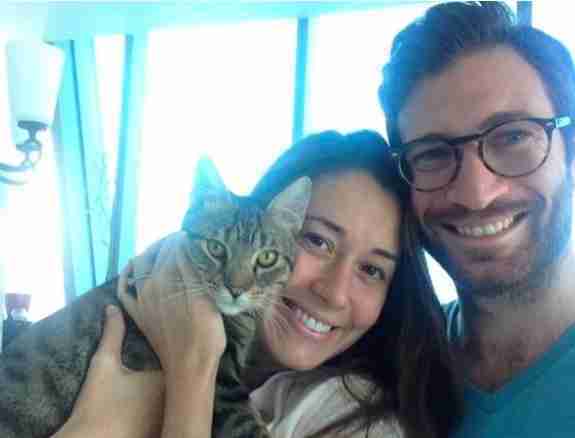 Stewart and her husband were moving back to the States after living in the United Arab Emirates for three years. When transporting animals from a foreign country, regulations can make checking your pet unavoidable. In cases like this, Melchior advises purchasing a solid crate assembled with screws - not plastic clips. TSA regulations are for size - not safety - so ignore the fancy sticker. Finally, if you have any concerns about your pet's health or handling, "be prepared to get off the plane and advocate for your animal," she said. As for Felix, hope remains. "There is a search party out there as we speak," Melchior said. This team, including pet-sniffing dog detectives, successfully located a cat named Gyzmo, yet another JFK escapee, this past August. Felix is just one casualty of routine cruelty-by-incompetence. "People need to ensure better safety standards for these animals," Stewart said. "I just want to get the word out and make a change."